This is an old character. A Long time ago, I made a female version of my Fursona. Until now, she was caring for Alex. I've decided to name her Lea, since it's a cute name. 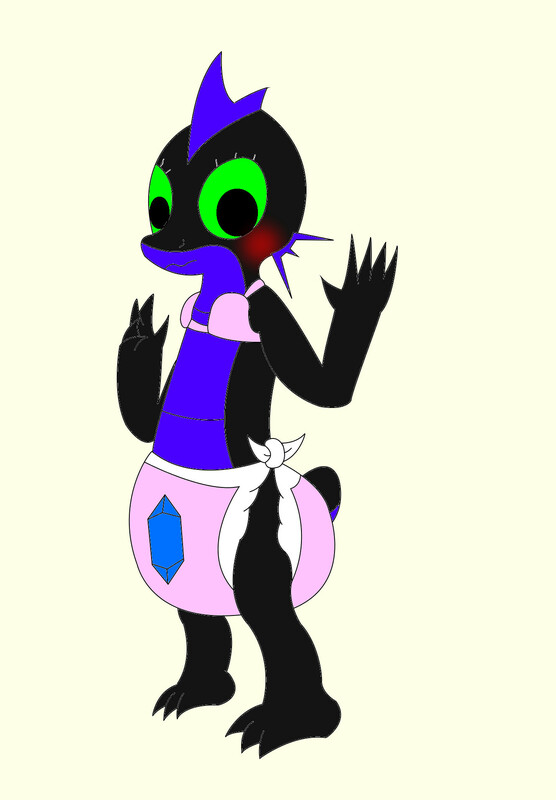 The Gem on the front of her pelenka gives her powers similar to Nixie's, which lets her change diapers with ease. Unfortunately, it doesn't protect her from embarrassment. Since she's lived away from Parker for so long, her personality changed slightly and she likes to wear clothes over her torso. She gets really flustered when someone sees her without anything on except a bra and diaper.